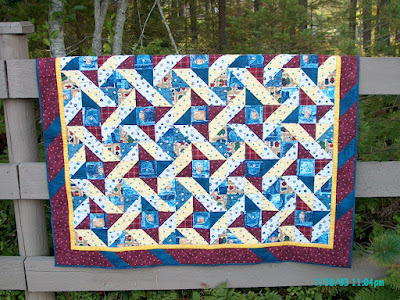 elsie quilts: A Mystery Quilt - in more ways than one! I'm just plugging away on Cobblestone Lane, and on TQS's BOM. However, after doing a little surfing, I found these neat links. The last one isn't about quilting, but it is very cool! Here's one from years ago that I made for a new nephew. 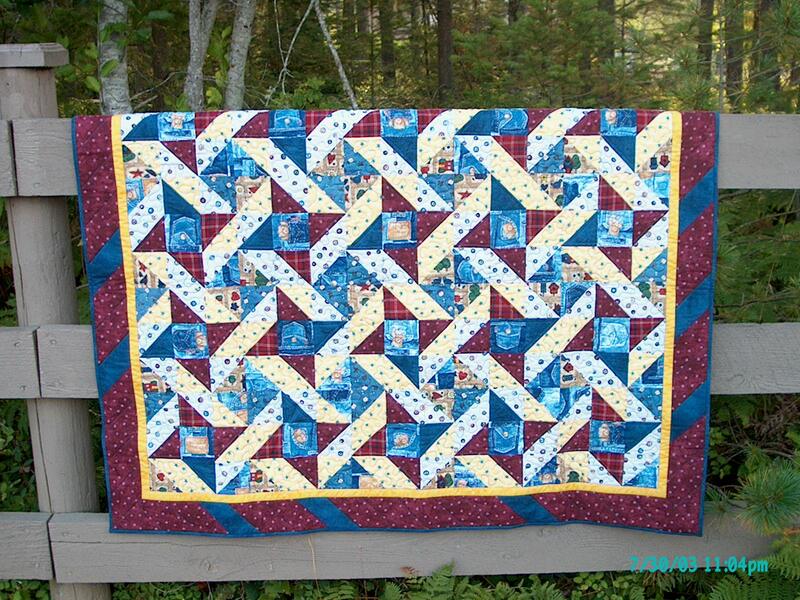 It was a mystery quilt, obviously a friendship star. His mom figured it was too nice to use -- so she put it in storage. He is almost a teen now, and the quilt has never been used... and likely will not be since they moved to the Cayman Islands and who needs a quilt there! Sigh!! Oh dear - an unused quilt -- 8-(( Kinda leaves a hole in your brain doesn't it? and it's so handsome!